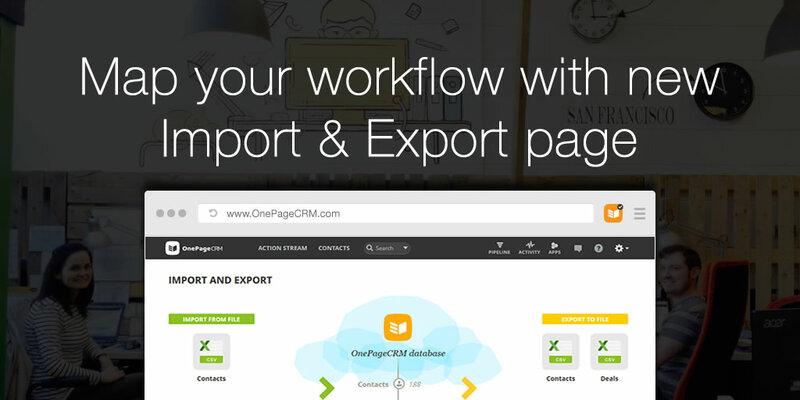 Importing contacts into OnePageCRM has never been easier thanks to a recent update to our import/export page. We’ve redesigned the layout to make it more streamlined. What’s more, you can now quickly see an overview of all import & export activity in your account with the new ‘import/export history’ section. 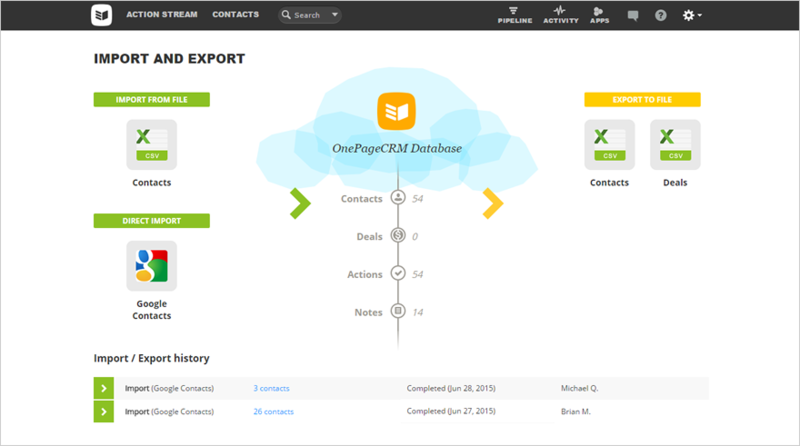 While the import functionality has largely remained the same, the new design offers a step-by-step guide for bringing multiple contacts into OnePageCRM. There is also a clear visual distinction between importing from a file and an import from Google Contacts. And you can also ensure that any lead owners, sources and tags are applied before the import. Check out our new import export page for uploading contacts using .csv files. You can also quickly connect to your Google account and import your Google Contacts. The new design for our import & export page has streamlined the process and offered a new history section for a quick overview of your accounts import/export activity. If you have any feedback on this update, we’d love to hear it! 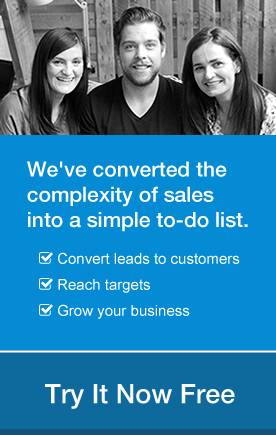 Comment below, email me at brianm@onepagecrm.com.